I'm thrilled to be teaming up with Lover.ly, the wedding binder that lives in a cloud. Think Pinterest for weddings with amazing wedding planning features. 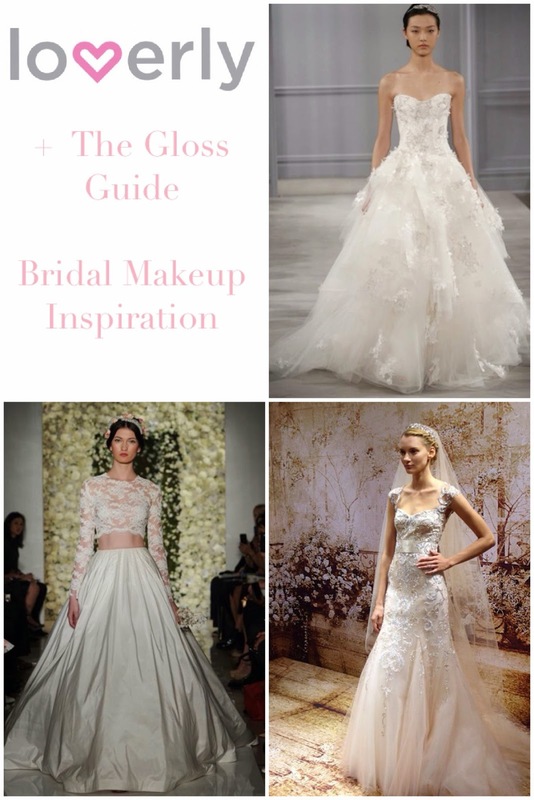 I have designed 3 makeup looks for 3 incredible wedding dresses. These 3 dresses are all so different and beautiful in their own ways. I had so much fun delving back into the world of weddings! 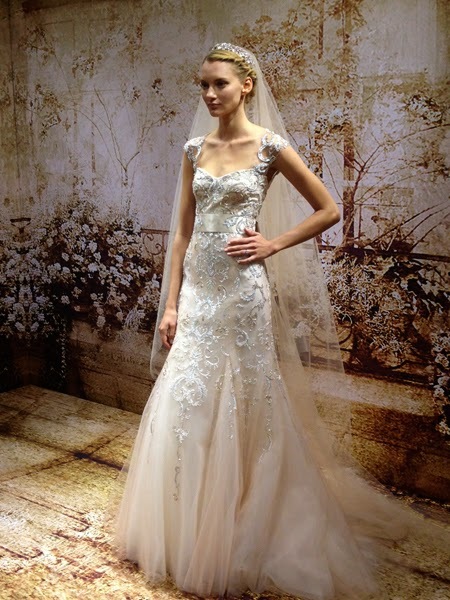 Here is my hair and makeup inspiration for these gorgeous gowns. For the first look I took inspiration from one of my best friend's wedding look. This dress is so different and just plain stunning. I wanted to keep my look classic, yet bold. I think the dress makes such a statement there is no need for over the top makeup. Her blue eyes popped and her raspberry lip was classic, but still gave a little color. 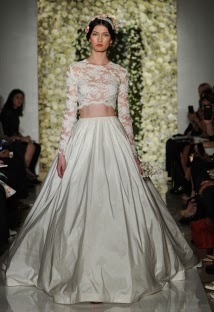 I think the red lip in the runway look is really beautiful, but I don't think it's practical for a real bride. I'm just not a fan of a red lip on your wedding day. It could be perfect- or it could be a complete disaster. I like that her hair is pulled up to show off the beautiful top. For the second look, I took inspiration from my own wedding. I came across this dress and thought it had similar details to my own dress. This dress is just flawless. I think the hair and makeup I wore on my big day would compliment this dress so well. Eyes: bronze, gold, and browns with corner lashes. For details of all the makeup I used in this pic click here. For the third dress I wanted to go with an ethereal, whimsical look. This dress is beyond gorgeous. 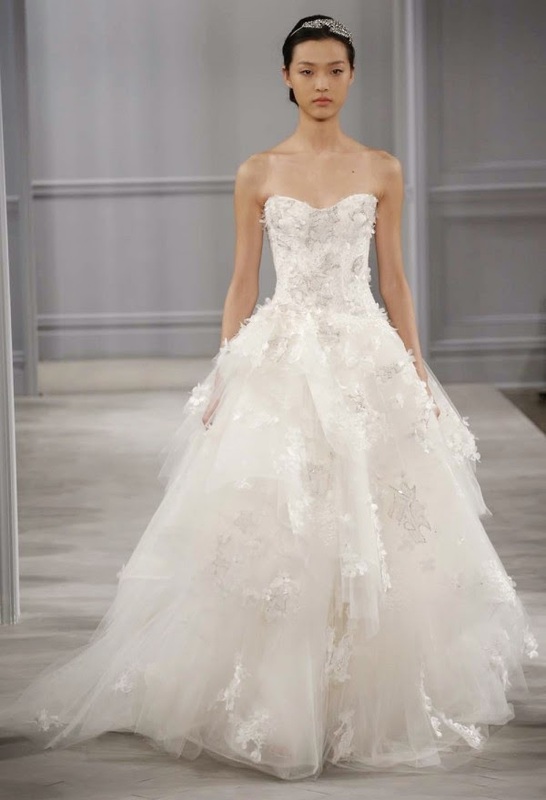 All of the exquisite details and the cap sleeve make this a dream dress. For this look I love the hair in a messy, lived in side braid. The makeup is bronze, pink, and oh so innocent. 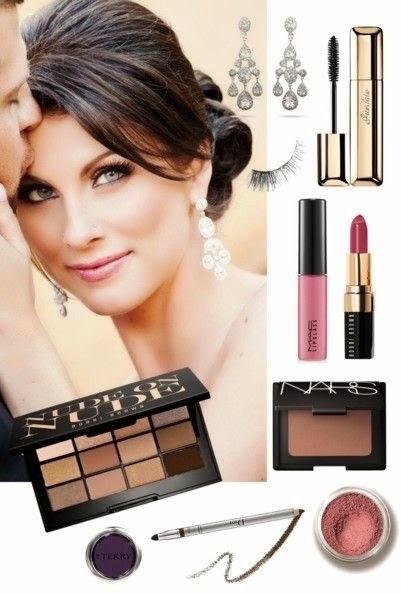 Hope you enjoyed these fun bridal looks! Be sure to visit Lover.ly to help create your dream wedding. I don't do a ton of posts on baby products, but this is one my baby and I both use. I keep this by my bathtub for if we ever take baths together. I don't want any of my chemical laden hair products/body wash to touch his skin! I love the way it smells (a light berry scent), it does a great job cleaning and conditioning my hair (Sulfate free), and it is great for baby too! It doesn't ever bother his eyes and his hair always smells yummy! 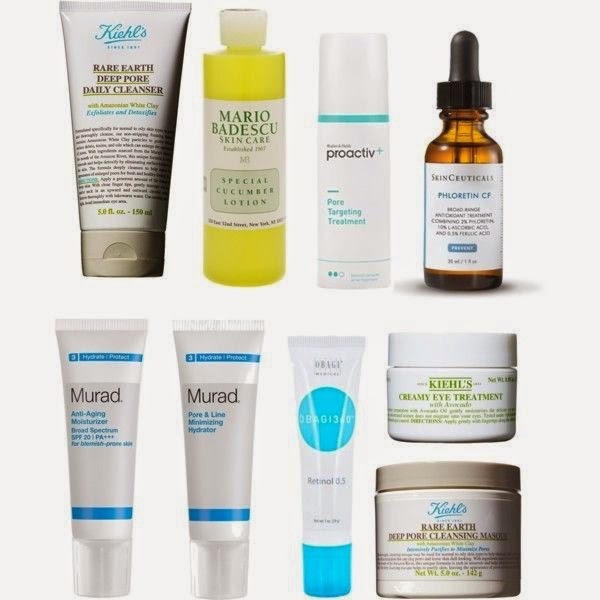 Really quickly - the main reason I love this product: Babo Botanicals is a small, natural hair and skin care company. The products are all organic and botanically based. They are all made on a small farm in New York. I love that they have products for every age (newborn to adult). 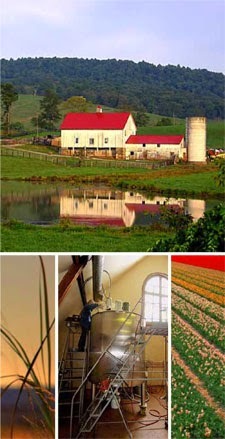 Look how cute this little farm is!